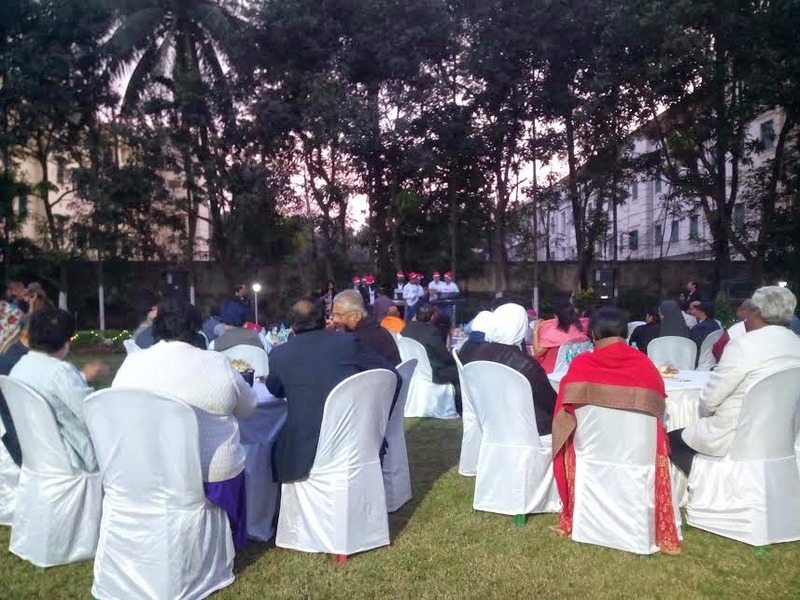 The Archbishop hosted city dignitaries and other collaborators at a Christmas Get-together on the lawns of Archbishop's House, 27 December 2014. After a welcome prayer by Fr. Devraj Fernandez, Principal of St. Anthony's High School, and a short message by Archbishop Thomas; there were carols sung by a city group. Chief Guest, City Police Commissioner, Surajit Kar Purkayastha, also addressed the gathering and thanked the citizens of the city for making Kolkata the safest city to live in in India. This he reasoned was thanks to the harmony in which different ethnic and religious groups lived. This harmony is what makes the city peaceful and deserving of the tag "City of Joy," and is the spirit of Christmas. The Mayor of Howrah was also present, as were other religious leaders, dignitaries and members of government. More carols followed, this time in Bengali (Dilip Rosario and his group), and finally "We wish you a Merry Christmas" by a group of children, brought the formal part of the event to a close. Guest were then free to mingle in fellowship, enjoying snacks, the cake and the coffee being served; perfect in the lovely Kolkata winter evening. While the world was on tenterhooks with twin sieges in Sydney and Belgium, Kolkata, the cultural capital of India, was busy with something else. It was a carol evening, aptly named Noel, at Church of Christ the King, Park Circus. The crowd - mainly youth in jelled hairdo and exuding stardom - waited with bated breath, until the programme started at 6 p.m. with the lighting of the lamp by very young curate, Fr Robert Johnson. Seven groups took part in this event, intended to roll out Christmas spirit in Kolkata. The Class IX students from Don Bosco School Park Circus started the show, with Adrian (of Class XI) at the keyboard. They struck the right chord by putting up a lively medley where song and sound synchronised effortlessly. After Don Bosco School, the choir from St. Mary's Ripon Street took the stage, led by Dominic Saldanha, whose keyboard skills would make Adnan Samy jealous! “Let the Light shine and let our Shining Stars perform!” declared Rev. Fr. 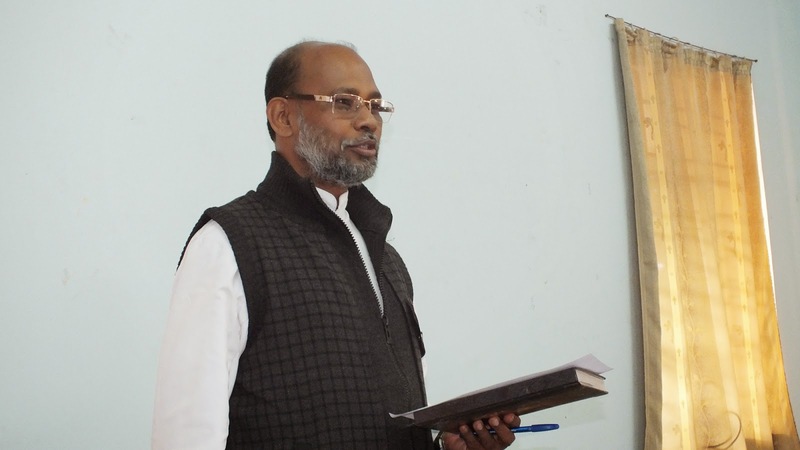 Vincent Lobo, Parish Priest and Dean of Calcutta Archdiocese. After his encouraging speech, the Altar Servers youth group of Christ the King appeared in the full gear of Altar servers and sang three wonderful songs; Mohit Pradhan was at the keyboard. Then it was time for Christmas Carols in Bengali. Auxilium Parish put up two lively songs, followed by the women’s group of Legion of Mary, Christ the King. They just sang their hearts out! Dominic Saha and (once again,) Dominic Saldanha left the audience spellbound with their mastery of the keyboard. The Bengali Choir of Christ the King directed by Dilip Rozario also sang to a nice tempo and ICYM of Christ the King provided the icing on the cake. Kudos to Fr Vincent Lobo for being the springboard of creativity to our local church. We are already feeling very Christmassy! 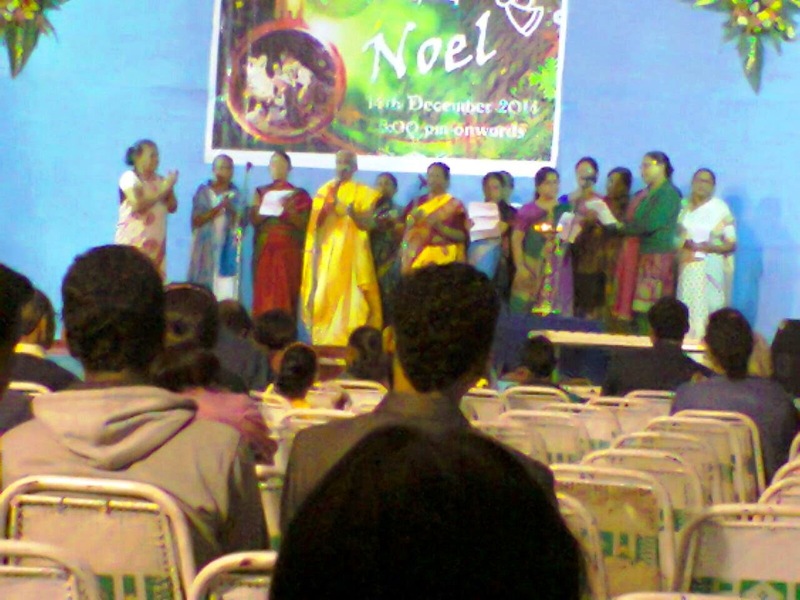 KOLKATA’S VOICESTRA USHERS IN THE CHRISTMAS SPIRIT WITH A MUSICAL PERFORMANCE AT JAMSHEDPUR. On Friday, 12 December, Kolkata Praise and Worship singers, Voicestra got Jamshedpur Dioceses’ Christmas celebrations off to a wonderful musical start with their concert presented by the Jamshedpur chapter of the All India Anglo-Indian Association and co-hosted by Jamshedpur’s landmark Boulevard Hotel. The event held at the Tagore Academy auditorium was interspersed with performances by local talent from schools such as St. Mary’s and Loyola. The Voicestra performance was also punctuated by a unique nativity play (enacted mainly by Students of Little Flower School, TELCO,) some dances by children – and a very special jive performance by Mr. Ronnie D’Costa and Sonali DSouza, all of which served well to introduce the different songs performed by the group. Bishop Felix Toppo SJ of Jamshedpur, the chief guest, enjoyed the event with other officials of the diocese. The Bishop said that as the “beautiful, melodious singing” began he felt meditative and he began to contemplate the mystery of Christmas and the love it stands for, which changed to a feeling of joyous celebration as the programmed progressed. He thanked Voicestra, as well as the local organisers for the opportunity to dwell on the meaning of Christmas, as well as to joyfully celebrate it. 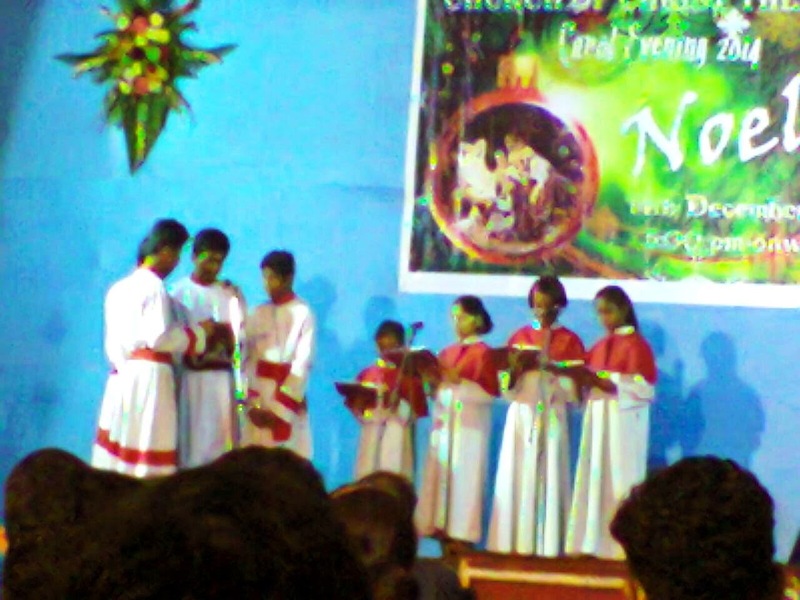 Though a Kolkata ensemble (the principal singers are members of the choir at Church of Our Lady of Vailankanni) a few of Voicestra’s singers are from other cities, as well. As last year, Voicestra will perform at the Kolkata Christmas Carnival 2014. 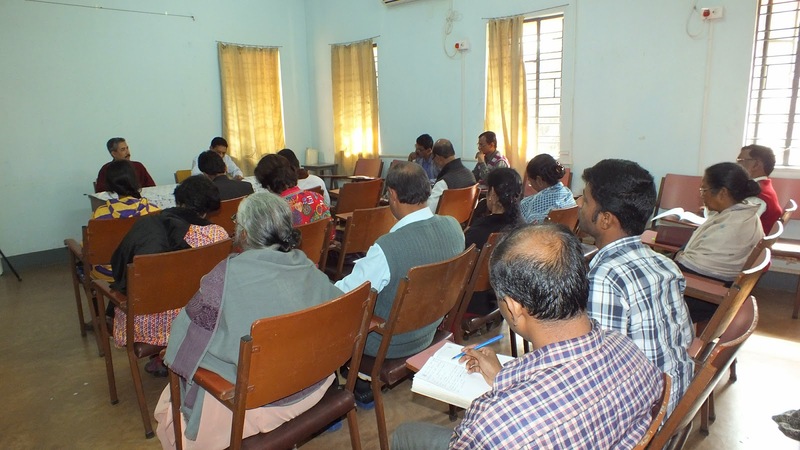 On Saturday December 6, the Social Communications Commission of the Archdiocese of Calcutta conducted an Alignment Programme for the resource persons tasked with assisting parishes start their own Parish papers. The programme was held at the Diocesan Pastoral Centre, Proggoloy, Barasat. The Commission had felt the need to have parish papers in every parish, to initiate parish media teams which would be valuable resources to the archdiocesan media effort in the long term. 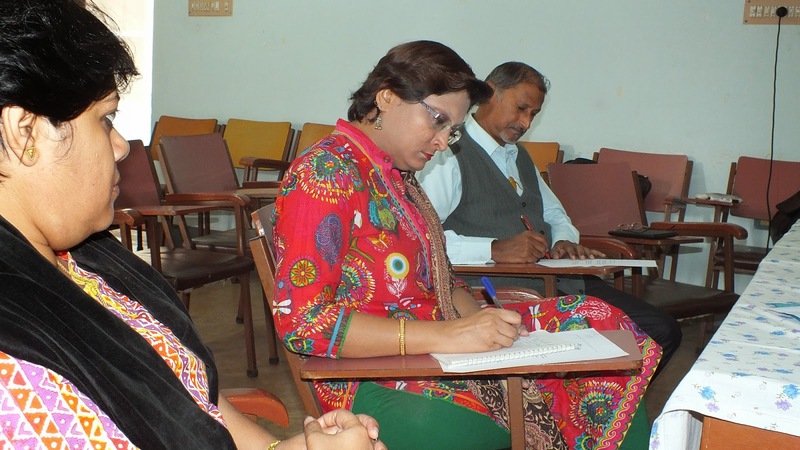 A series of workshops to train these parish teams and bring out parish journals would be held in early 2015. Towards this plan, the Alignment programme brought together those resource people would act as facilitators for workshops to be held early next year, and subsequent be hand-holders of the parish media teams to create and publish their papers, with in a time bound period. For Phase I, fifteen city parishes in Kolkata were identified. The resource team of Fr. Devraj Fernandes, Farrell Shah, Althea Phillips, Ruth Joseph and Isaac Gomes, started from Archbishop’s House at 7.45 am for Proggoloy, and were joined there by Fr. Robin Gomes and Fr. Leo Jayaraj. After a hearty breakfast, the programme began with a very encouraging address by Fr Anthony Roderick, head of the centre. He requested that the team from Kolkata give some tips on writing for a parish newspaper and reporting, to a delegation of about 25 Church leaders from Bongaon Parish. Farrell and Isaac had half-an-hour interactive session with the delegates and explained the nuances of reporting in a church journal. Farrell explained to them the formula of What, When, Why, Where, How and Who with an amusing poem; for ensuring completeness in their report writing. The delegates put up a short demonstration and proved they were quick learners! When the Bongaon delegates had left, the SCC facilitators began their “training for trainers” in earnest. Fr. Devraj took the first session - an overview of Communication in the Church, especially the Church’s media Mission. He said social media reporting should be truthful, just and at the service of common good. He quoted from various Church documents including the utterances of Pope Emeritus Benedict XVI and the message of Pope Francis on 48th World Communication Day. The remaining sessions were led by Farrell, who outlined the objectives of the workshops and asked the group to identify the types of media available for Parish Journalism. Through group exercise, the participants identified the pros and cons of each media option (Newspaper, Websites, Social Media and Verbal Communication, etc). He stressed on the necessity of involving the youth, where media can be a vehicle to express themselves - and for creating a pool of future-ready media persons for the Archdiocese. Session III was on creating Parish-relevant Contents (PREPS) for various media, Team Skills and Techniques and the economics of church newspaper publication. The Workshop ended with a highly creative session on assembling an editorial and design team, writing articles, choosing a name for a publication, technical and mandatory issues, and finally publishing - there and then - a newspaper on the tab, with “Editor” Fr Robin’s autograph clearly visible! We hope the facilitator team can take the input obtained today and translate it into effective parish journals in the New Year.